When it comes to low-cost car insurance, members of this nation's Armed Forces are turning to us. 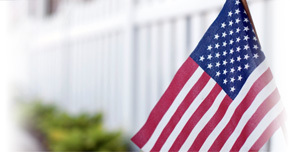 Direct Auto & Life Insurance is proud to support our United States Military with insurance designed for service members. With affordable rates and customizable payment options,* Direct Auto is a great insurance choice for many Armed Forces members who are in need of simple coverage that fits their needs. Let's uncover more about how Direct Auto can help service men and women in Searcy get the right car insurance coverage. Direct Auto knows service members stationed in Searcy have many options when finding a car insurance provider. But at Direct Auto, we know how to customize coverage to fit your needs and can break down the insurance fundamentals like state minimums and deductibles. That's why we have tools like the Coverage Assistant. By looking to the Coverage Assistant for help, you can find out what insurance matches your needs and allocated budget, without spending more than you'd like on coverage. Direct Auto also helps customers through every step of the coverage process, educating you about everything your plan covers. From Bodily Liability Coverage to Comprehensive Coverage, to Comprehensive Coverage, Direct Auto's military car insurance customers deserve to be informed on how their plan is working harder for them. What's more, we know that Direct Auto customer are often on-the-go, which is why we designed the DirectDrive app.† Using the DirectDrive app, customers can to monitor and gain insight into driving habits with real-time feedback, which could grant them rewards and even decrease their monthly bill. Customers can even pay their car insurance bill through DirectDrive. How convenient! With just a clicks, you can take care of your Direct Auto bill, get real-time feedback on driving habits, and go head-to-head against other DirectDrive app users without taking a break from your busy day! Android and iPhone users can head to the app store to download the app for free. Want to get your fast and free quote for military car insurance in Searcy? Give us a at 1-877- GO DIRECT or visit us online to apply for auto insurance coverage today.